The phrase people most often associate with Dr. King – excerpted from his landmark 1963 speech — is “I have a dream.” Of course, many people have dreams. Some even have great dreams. But most people don’t work to make their dreams a reality as did Dr. King. Great ideas for new products, businesses, and works of science and art die every day with their inventors. To be an entrepreneur is to dream – but is even more to do. At the time that Dr. King gave his famous speech at the Mall in Washington, racism had been entrenched in American culture for centuries. Dr. King challenged the status quo, and raised awareness of a different and better future that could be built from positive change. Likewise, businesses often are averse to changing long-held positions, or denying that major changes for the better can take place, with or without them. Only a few years ago, “experts” were saying that people would reject keyboard-less smartphones like the iPhone, and Blackberry would continue to dominate the smartphone market for many years to come. We know how that turned out. Dr. King was an amazing speaker who inspired millions of people with his words. But, ultimately, it was those large numbers of people who organized, marched, or otherwise influenced legislators and the public. There is little doubt that the grassroots nature of the civil rights movement – and the resulting far reach of its leaders – was a key ingredient in its success. In the Internet era it is much easier than the 1960s to reach large numbers of people; if you have a great message – spread it widely. The civil rights struggle did not achieve its aims overnight, and its success was built upon the hard work and sacrifice of many; Dr. King and various others even lost their lives. Thankfully, entrepreneurs do not need to make such giant sacrifices, but, effectuating change and achieving success does not usually happen without hard work. Yes, there are some businesses that skyrocket to the top, and there are some people who get rich quickly. But, the vast majority of businesses are built with a lot of time and effort. Don’t expect to succeed without working hard. Joseph Steinberg is the C.E.O. of Green Armor Solutions, a vendor of cybersecurity technologies which he co-invented, and which specializes in applying knowledge of human dynamics so as to ensure that maximum security can be delivered with maximum convenience. You can follow Joseph and learn more about him on Twitter at @JosephSteinberg. Click here to visit Forbes.com. Related tags : Civil Rights MovementDr. 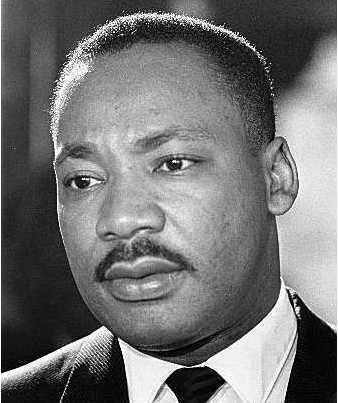 Martin Luther KingForbes.comJoseph SteinbergJr. Are Black People Conditioned To Think Less Of Black Professionals? Hey Buddy!, I found this information for you: "5 Entrepreneurship Lessons from Dr. Martin Luther King, Jr.". Here is the website link: https://blackmeninamerica.com/5-entrepreneurship-lessons-from-dr-martin-luther-king-jr/. Thank you.